On this page you fill find an assortment of Masonic Literature. Please use the link below to enter the online library or scroll down the page to browse a list of some of today's most popular Masonic authors and their works. 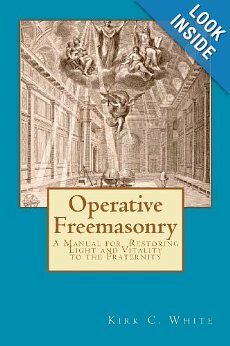 "AN OPERATOR'S MANUAL FOR FREEMASONRY Every new Mason learns that "operative masonry" refers to the art and practice of stoneworking while "speculative masonry" refers to Freemasonry. "Operative Freemasonry" is a manual on the art and practice of Freemasonry. By providing detailed information and advice often overlooked or forgotten on how Freemasonry "works", this book explores how the fraternity can actually "make good men better" and keep them active in our lodges and chapters. Areas covered include: - Light Defined - Secrets and Mysteries - Prospective Freemasons: how to find them - Framing the Sacred: Preparation for Lodge - Openings and Closings - Initiation: what it is and how it works - Mentorship: how to keep our brothers active - Daily Freemasonry - Resources for Further Light Written for every Mason who wants to bring Light and Vitality back to his lodge and the fraternity." 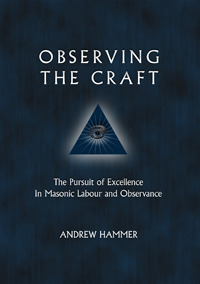 "Observing the Craft is a manifesto of sorts for the observant Mason, who seeks quality over quantity in every aspect of Masonry. It is a stringent argument for the Symbolic (Blue) Lodge as the ne plus ultra of the Craft, asking that Masons put actions behind their statements that 'nothing is higher than the third degree.' 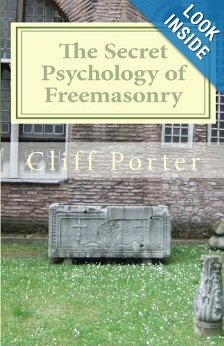 It is a book that calls for nothing but the utmost personal effort and commitment to be put into the operation of a Masonic Lodge, and the experience of a Masonic meeting, in search of the transformational experience which Masons define as 'making good men better'." "Ahiman is a new periodical anthology of Masonic writing, offering a serious exploration of the rich initiatic traditions of Freemasonry. Edited by Masonic scholar Shawn Eyer, Ahiman is dedicated to stimulating scholarship, penetrating interpretation and inspiring creative expressions focused upon the history, rituals, symbolism, iconography and philosophy of Freemasonry. Carefully researched and lavishly produced, each edition of Ahiman offers important material of interest to Freemasons and other students of Western esoteric traditions." "Masonic ritual contains a veiled secret which points toward a hidden psychological current, inherent in the Western Mystical Tradition. This scarcely perceivable sentient science has manifested throughout the ages within the ancient Gnostic schools, the writings of the great Hermetic philosophers, and the noble art of Freemasonry. These institutions have operated as a means of perpetuating a method of personal typology and perception, which is essential to human interaction. The intrinsic numerological correspondences of Craft ritual contain the keys to perfecting this powerful system of communication and the Self. This seminal work provides a practical framework, through which the student can master his own typology, understand the elements of perception, and utilize vital communication techniques which can unlock the very mysteries of human existence. 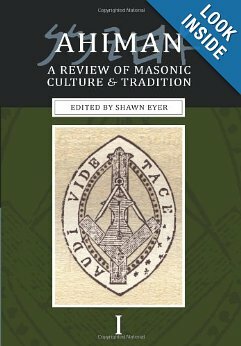 By employing techniques as diverse as Jungian psychoanalysis, Masonic geometry, and alchemical parable, Porter has formulated a unique and timely tome that is certain to revolutionize the perceptions of contemporary Masonic culture and the means by which we articulate ideas. We can detect deception, influence others, effect positive change, and synthesize a unique cognitive vernacular, specifically crafted to convey the most profound Masonic truths." "Freemasonry is an Initiatic Order teaching lessons of philosophy, morality, psychology, and spirituality. It contains elements of perennial wisdom, much of which has been handed down to it by other orders and cultures throughout the history of civilization. Many have searched, and continue to search, for a singular origin to our Fraternity. This book discusses similarities found in the Initiatic Experiences which have been practiced by people of different cultures from time immemorial. You will find that much of what our lessons teach today, was taught to initiates thousands of years before Freemasonry had even been formed, being passed from Master to Candidate. 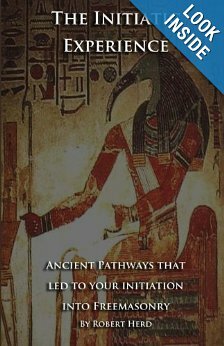 It shows that some of those Initiatic processes, methods, and lessons, which were passed down to us from ancient times, was done so by some of the most famous thinkers, philosophers, and teachers in human history. Sometimes this knowledge was lost by one civilization only to be rediscovered or rejuvenated by the next. The knowledge and lessons changed nearly as little as the methods of conveying them. It shows a lineage or pathway, so to speak, created by the sharing of knowledge and wisdom from Ancient Egypt and Greece, to Renaissance Europe and even the Middle East. It discusses how the process and impact of the Initiatic experience was used then, and is still used today, to promote and protect certain lessons and concepts throughout the ages, sometimes with deadly consequences. This book talks about some of the challenges certain Orders had in maintaining these lessons in times of social or religious turmoil such as the Knights Templar, Rosicrucians, and even the early Alchemists. For the new and old Freemason alike, this book can provide valuable insight into the meaning behind portions of the ritual, the history behind some of the traditions, and the spirit behind some of the lessons of our Fraternity. Those interested in history will find a concise, chronological order of events making study and familiarization of information quick and easy. Those interested in the more esoteric side of Freemasonry will find both old and new concepts behind the superficial aspects of our Craft and the underlying Western Mystery School tradition as a whole."